Rocking it with E mail lists ! As the owner of an online business I have put together a guide to making money online. But this isn’t just any making money online guide! It’s a guide to building an Email list! For most online entrepreneurs the right step is to start building their list. What kind of list you ask? Why an e-mail list of course! Your Email auto responder is perhaps your most valuable asset and integration in online business ! Your auto-responder captures and contains the subscribers from your opt in campaigns . It is also where you will send broadcast E mails or follow up E ails after someone has subscribed to your list . I have tried several Auto Responders and settled on Aweber as my favorite . I chose Aweber for it’s value, tools and easy to use approach to doing everything I need in E mail marketing! Broadcast E mails are a singe E mail that you would send out with a weekly newsletter, blog post , video or other content in order to continue to offer your list valuable and relevant content and stay in touch with them. Follow Up Emails are a series of Emails that are set up ahead of time and sent to your list on a schedule after they have opted in. Campaigns are likewise set up to be sent on a schedule every day or every 2 days when you are running a marketing campaign offering your list a product or service. Campaigns are also used when sending content such as video courses where the subscriber gets a video a day or week training or teaching . By using an auto responder to gather e-mails from opt-in subscriptions you can build a list to market to that can be very lucrative. “The money is in the list” is the mantra of many millionaire online entrepreneurs that use the strategy as a bread and butter staple to grow their business. I’ll explain more and give you seven reasons why the money is in the list as we go through this exciting Guide! Let’s take a look ! One of the most basic values of any business is its assets. If it is a manufacturing company that makes various widgets that can be shipped all over the world there is a value placed on the contracts and enterprise of that business. The standing and market share plays a big role in assessing the value of a business. But many business owners understand that there is much more to it. Assets are a huge part of a business’s value. If the owner of the company who makes those widgets that are shipped all over the world rents the equipment and location of his manufacturing business, his business is far less valuable than a business owner who owns all his own equipment, factory and assets involved in the production of the widget. The same can be said of online business. While you may own the property that is known as a website, and content there are not nearly as many avenues to build assets as a brick and mortar business does. One such asset that many people who endeavor in affiliate marketing and drop shipping miss the boat on is likely the biggest asset in online business! That asset is a subscriber e-mail list. An e-mail list is generated by offering a free product such as an e book, newsletter, video, or other tangible product that offers real value to the subscriber, this product or content should be a digital product, but in some cases can be a physical product. For instance, I have seen owners of a health and beauty website offer a drawing to win a free makeup product in a drawing. All the subscriber has to do is click a link where they are taken to a landing page that requires that the subscriber leave their e-mail address and name. Usually just the first name. When they submit the form they are redirected to a page where they can get their download, or in the case of a physical product the winner of the drawing will be notified via the e-mail they gave and shipping arrangements made. 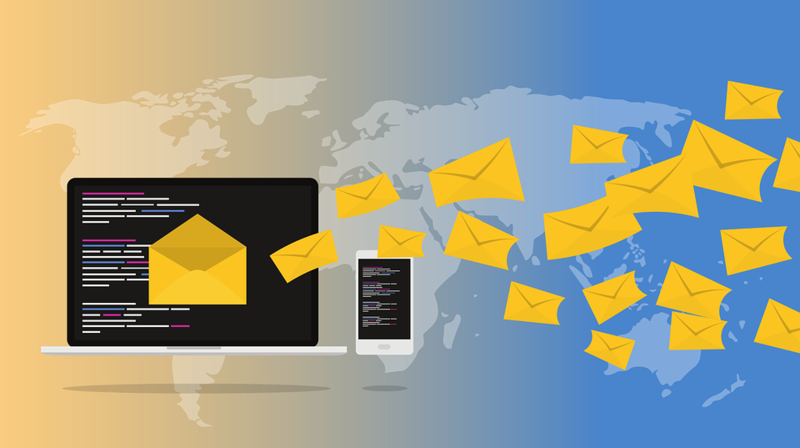 But the goal of the marketer is to acquire the e-mail address for future value for the subscriber such as a report, or a simple update e-mail and the future offers that can be made to an instantly targeted audience. CLICK THE BUTTON ,If you would like to learn more about the #1 Way to build an online business and make money online FOR FREE ! The name of the game in online business is traffic. There will be those who will always sneer at this and instead retort with the argument that conversions are where the money is at. That is absolutely true! But if your site doesn’t get the traffic, guess what. There are no conversions. Traffic is the lifeblood of online business! That is who S.E.O. Google analytic, Webmaster Tools,and P.P.C. are a small part of an extensive online vocabulary when it comes to traffic. 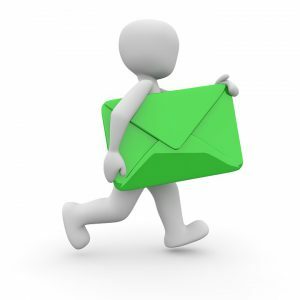 A mailing list gives you the advantage of controlling the traffic and its free traffic! The goal of a mailing list is to build your list to a large number and offer value to your customer and in return to should profit $1 a month per subscriber on your list. If you have a 5,000 subscriber list, you earn $5000 that month. If you have a list of 25,000 subscribers, you should earn $25,000 that month. You can give yourself a raise by simply growing your list! Have you ever taken a child to a pet store to purchase a hamster? Well that cute, cuddly little mouse will cost you $10 to buy. But by the time you leave the store you have bought a habitat, a water bottle, a food dish, and a bag of bedding for $100! And just like the e-mail marketer you are offering your customer a great value on the front end and hoping for return business on the back end. 4. Having a large mailing list means that you regularly communicate with 10-50,000 people by sending one email! With a standard website used in affiliate marketing Google rank and hit-and-miss traffic are your best friends . With an e-mail list you send periodic updates, newsletters and general correspondence to a customer you build a relationship with. They receive value and help from you periodically and then you send them an e-mail with a great offer in it, they are more likely to make a purchase than someone who Might turn on a computer that day, and Might happen to type in keywords that lead them to you, and Might read your affiliate offer and Might bounce off your site or Might make a purchase. But the sales flow of a mailing list is you send an e-mail to someone who knows of you with a targeted product that they are likely to be interested in. Having a large e-mail list can be compared to owning a stocked A.T.M. machine! 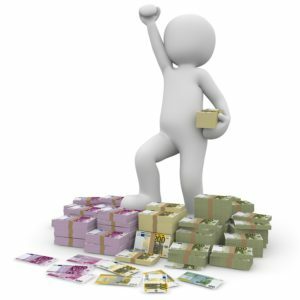 By sending out an e-mail you can make money on demand! You can schedule when you want to make money instead of hoping you make money, Remember, you have an average of $1 per month,per subscriber. The key word here is Average. Not high or low. When you leverage a large e-mail list you can make money from anywhere! You don’t have to be tied to an office or even work at home. You can be in Dallas Texas or Spain, as long as you have your laptop and an Internet connection you are at the office! You can work on your offer whether it be a digital product from Click bank or a custom study course or webinar and then launch it when you get up at 6:00 AM and make $5,000 before breakfast! As you stay in touch with your customers you build a relationship wth them. You become someone they know and trust in, and that perception is far greater than that of someone who only knows you by a mere blog post and the last time they hear from you is a paypal button. This means that you need to offer this customer the respect of honesty and communication without driving them nuts. If you send out scheduled e-mails every month or so that will help tremendously. But as you get to know your customers or clients you will learn that some like more or less interaction. Who is E mail marketing for? E mail marketing is for anyone who has an online business or physical business. In fact, it is imperative that you begin building an opt-in e-mail list as soon as you start your business! If you don’t you are likely leaving money on the table! Although many E mail marketers don’t even have to have an actual web site, I prefer to keep my business structures the same as if I were running a basic affiliate marketing campaign through a website blog. Your website and the content on that website is also another avenue of trust and perception for your mailing list as you also go about your affiliate marketing business as usual. And like they say, never put all your eggs in one basket! If you choose to start building your E mail marketing list, You can start for free with the very simple to use tools at MailChimp.com! It is free up to 2000 subscribers and will offer you the experience going forward to know if you want to stay with MailCimp or try a different auto responder. The progress will be slow to start, but well worth the time and effort! Anything worth dreaming is worth doing, and anything worth doing is worth doing your best! If you want to work towards getting away from the structured rat race that enslaves most people on the planet and start making a passive income that puts you directly in control of your future and the future of your family, Do it! Don’t let anyone hold you back or destroy your confidence ! Get started. And stay the course! Building an E mail list is just one step, but a powerful one ! An Email list building campaign is a great way to start building equity in your business as you build that business through relevant content! I’ll be back very soon with another post on starting your very own online business with no experience, because newbies can make money online too ! Thanks for reading, and if you have any comments or questions please leave them below! I would love to hear from you ! Interesting read and one I am terribly ignorant of. I have been in affiliate marketing, or had a website up and running for over a year now and haven’t even looked at email addresses. It hasn’t been mentioned in any of the training thus far, I’m not even sure where to begin. So it’s, for this reason, I’ll be hanging out to see your next post and hopefully make a start, in the meantime can you suggest some training material? No problem at all Paul. It’s fairly simple and what all the most successful marketers do. You build an e mail list by offering a free product such as an e book, a newsletter, video or something else . If you aren’t comfortable yet creating an e book you can google PLR E books. These e books have no copywrite and allow you to rebrand them with your name,title and even change the content. Or you can sell them just as they are. These books are also great for getting content ideas and helping write content.I bought several times and the last batch of e books I bought, I paid $10 for 14 books. You can get one for like $3. I like to get batches so that you have more content and options. After you have your “Free product” to offer, you download an autoresponder like CONVERT KIT. I like Convert kit because everything is there . They host the e mail, and have landing page templates etc. And you can get everything for $12 per month.I am not an affiliate of Convert kit, I just love it! You make your squeeze page (very easy and tutorials in Convert kit). You put this squeeze page on Facebook, Instagram, your web site etc. Giving away the freebie. When a person clicks buy now, it asks for their e mail address and first name. If the person complies they have given you permission to use their e mail. These e mail adresses are stored in Convert kit. (Or whatever e mail marketing e mail service provider you choose) Convert Kit is the least expensive and works great ! When you get an affiliate offer you want to promote, you send out an e mail with the offer to your list of niche oriented people who have given you the e mail. (So it complies with SPAM laws) And also put it on your niche site. E mail lists convert at an average of 17-26 %. So If you send that e mail to 5,000 people on your list 20% might buy it. So that’s 1000 people who buy the offer. If your affiliate commision is $8 you just made $8,000. You continuously build your list through offers and your web site. You want at least a 5000 person e mail list, but as you go make everything you do about getting someone to opt-in to your list. I know one guy who has 123,000 people on his list. He creates high quality offers such as courses etc. that he promotes with e mail. But he also does most of his affiliate stuff via e mail. You still need to work on your site, because it remains important! Then anything you promote or create can be sold via e mail.. If you decide to make an e book and voice record it with Audacity(FREE) You can sell this as a e book/audio home study course for $50. Instead of making an affiliate commision ,you make $50x 1000. (Based on 20% conversions) That is $50,000 for sending an e mail! This is the quick and dirty explanation . For more info search e mail lists for beginners on you tube. My favorite reference is the audio book on audible “Laptop Millionaire”. I also have no affiliate commisions there. If you want me to give you some non-affiliate links for more info, send me an e mail and I’ll shoot you the info to the 2nd best site on the web behind W.A. I wont do it here because it may violate the rules at W.A. Sorry if this was too much info. Just trying to be helpful! That is absolutely correct! If you need anything or I can offer you help or answer a question, feel free to let me know ! 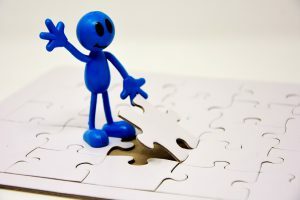 Great post, email marketing is something I’ve put off for ages now, by reading that its really gave me a kick up the backside to do something about it and get returning visitors to my website, thanks for the tips! Glad I could help Kourtney! If you need any help or have a question feel free to let me know ! This is really interesting stuff you got here. I myself just so happen to be involved with Wealthy Affiliate, so anyone reading this, I back up him up when it promotes WA. You should check it out. However, I’m new to e-mail marketing. I’ve heard of it of course, but I’ve never really looked into it. Thank you for giving me a heads up. I have a little better standing with my knowledge of e mail marketing and e mail lists. In any online business a website for your “home ” so to speak is awesome leverage. I joined Wealthy Affiliate because I saw the value that is offered there, and I want to concentrate on the affiliate side as I build my e mail list. Like any business , brick and mortar or online you need at least some amount of diversification . You don’t want all your eggs in one basket. Wealthy Affiliate is the best thing going in the online business training and website creation world in my opinion. And I’ve tried a few. Thank you for your comment Brandon! Great article! Who would have known that sending emails could get you money. You could be sitting at home in your pjs and make money! So much easier than a 9 to 5 job that pays minimum wage. Thank you for this article! You can do JV (Joint venture) launches as well. change the title and assume authorship. You can do all the work in Word. Then you use this e book as an offer. You can either use it as a freebie to grow your list with opt-in subscribers. Or if you can offer value with a quality e book or other PLR product you can sell it for let’s say $20 by paying $50 for a clickbank vendor membership where 100,000 affiliates at clickbank will promote your book for a 75% commision, and do the aforementioned JV launch. A JV launch is where you ask another marketer to mail his list with your promotion and in return you will mail your list for him/her later. List building has proved to be a great way of receiving and keeping a customer base, but the list is only good if you are getting adequate number of traffic. A list is a must once your traffic flow is a certain number that is fairly high. With an opt-in mailing list, traffic isn’t really a problem Andrew. That is what is so awesome about building a list! You control the traffic. If you want to offer a promotion to a client , whether it’s an item you created or an affiliate offer, you simply send an e mail to your list. If your list is 10,000 people, your traffic for that e mailing is 10,000. Most affiliate marketers that are really good at list building state that each person on your list should be worth $1 per month on average. So if you have a 10,000 person e mail list, you should see an average of $10,000 per month. It takes time to build a targeted list. But when you get it , site traffic is a bonus. I too have an affiliate marketing site and have yet to tap the potential of an e-mail list. thank you so much for the informative post. I’ll work on implementing a list right away! The affiliate marketing convention in 2016 had a litany of big time marketers in attendance. The subject matter during the convention was primarily e mail lists. One of these marketers that is in the millions per year range had done the stats and analytics and came up with a number that was agreed with amongst all of them. His research showed that failing to build at least a 5,000 person opt-in e mail list would leave as much as 82% of the money on the table for marketers. His name is Mark Anastasi author of laptop millionaire. That is sure of the best way to create and maintain long term relationship but equally highly compelling and getting drawbacks. It require good experience, good marketing and creative ways with real value to increase the chances of getting success through list. And I believe it something need to be done must after getting some experience and good audience. And me too will look into it ! I suggest to everyone that you start as soon as you have your web site set up and start building it out with content. You may start slow, but with facebook, Twitter and other social media you have an opportunity to start building and get better as you go. Awesome post, I just love it! I think it will be priceless for anyone who is interested in doing business online. It’s very helpful for me too. If I can help you out with anything, or if you have questions feel free to let me know. Great post Mike. I’ve been working on my email list for about 6 months and found that my newsletter really has increase my traffic. I only post a newsletter every 5-6 weeks. Do you think this is enough? Thanks for your Comment Vince. To be honest I think it really depends on the content and subject matter of your newsletter. things in my opinion. I’m only familiar with Convert Kit. But it allows a “if this then this” type of interface. This lets you send different e mails to different parts of your list depending on where they are and what they need as well as having pre-done triggers to send periodic e mails that are obviously done ahead of time, to maintain customer engagement, and offer some amount of value even when you ask for nothing in return. You may already be doing these things, but that’s just an over view. Thanks again Vince! Have a great day! He has been working on his day trader e mail list for several years and uses Aweber and Leadpages . He is in the 13,000 range in his list building . We went to his house for a cookout and the discussion came up. I pulled my laptop from the car and he was amazed at the simplicity of Covertkit. Being pretty new to it and the only e mail system I’ve ever used I think it’s easy as well, but I can’t really compare because I’m not experienced with anything else. I’m starting a podcast in 2 weeks and he has agreed to be a guest on Skype to do the comparison with me. But as of now all I can tell you with any authority is that it works and is easy to use. Great post… I enjoyed it very much. Looks like you may have had experience in direct mail. I am basing this on some of the comments made about the value of a list. I took a look at ConvertKit along with many other eMail services such as AWeber etc. As a beginner I chose MailChimp, but am looking to recommend a good service to my readers. It appears as though ConvertKit is a highly coveted service by Bloggers, but I did not see where it paid any affiliate commissions, which is also something bloggers need to keep building their incomes. Can you comment on this and offer any suggestions for someone looking for a good email service that also pays good affiliate commissions? Thanks – valuable information, very well done! Thank you for your comment Dallas! I can’t really speak as an authority on all E MAIL apps and services such as Mail Chimp, because I haven’t used it. I am a relative newbie to Convert kit. But I can say that it is super easy to use as a newbie. I started with it a little over a month ago and so far it’s great ! Yes Convert Kit does have an affiliate program. …..https://convertkit.com/affilia…. Thanks again for your comment! If I can be of assistance [please let me know! A newbie I am, there is a lot to learn indeed. I have yet to explore the email marketing side of the online business but I understand the need for it. Thank you so much for showing the importance and relevance of building the mailing list. I will get there in the near future. You’re very welcome ! And thank you for your comment ! I am just overblown with all these new and marketable ideas. I have heard before about Email listing, but I had no clue that would be achievable for me. Mike you have shared some great information and given so many free tips. Still don’t know where to start. I am new at internet marketing and was turned down by several affiliate companies. So far, the only one I was successful in joining is Amazon. So I have a concern about the kind of revenue I can make even a year from now. I want to continue WA training and see where that goes. But I would be naive to put all my eggs in one basket. I made note of the two resources: Convert Kid and Google PLR E. Any further direction, I would be grateful. Thank you Monique, for the kind words! I put a post up earlier concerning where to start as a beginner in online business. These 3 things will build a solid foundation for your business. If you ahve any questions or need any help feel free to contact me or leave a question in the comments and I will get back to you A.S.A.P. Thanks for sharing this post on building a list. I’m building a blogging site myself and it’s great to hear that a list is the way to move forward to generate the mega bucks. So i’ve been toying with the idea of having popup when people arrive on my site to encourage people to sign up. Would you recommend this method or something else? Will feel cornered and exit the site. I would rather have them on site reading and looking around and not opt in than bounce. Thanks for your comment James , I appreciate it. If there’s anything I can help you with, I would appreciate it if you’ll let me know in the comments below . This post has been really helpful. I have had email marketing on my mind for a while and know that is something I should take more seriously. One of the questions I have is about how often, I should contact my list. I have my new posts sent to my list automatically and as I usually do 3 a week, I don’t know if sending them more would be overkill. What are your thoughts ? Thanks for your comment Karen ! I believe that the regularity of content you send your readers really depends on the quality of the content. I am on about 8 e mail list and my e mail gets bogged down like crazy. When that happens I usually unsubscribe to the ones that are the least useful and send the most.